You'll be £20.00 closer to your next £10.00 credit when you purchase Stauffenberg: Symbol of Resistance. What's this? On 20th July 1944, senior officers gathered at the Wolfschanze – the Wolf’s Lair – Hitler’s headquarters in East Prussia. Amongst those men was Colonel Claus Schenk Count von Stauffenberg, chief of staff of the Reserve Army, and with him he carried a briefcase packed with explosives. A little after midday the building was rocked by a massive explosion. Five men were killed, others wounded and the interior of the Wolfschanze was wrecked. 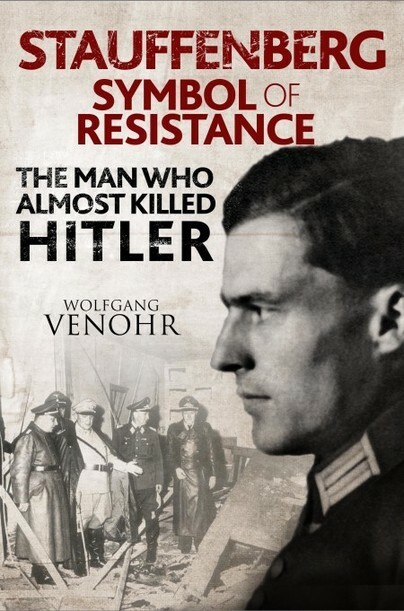 Believing that he had killed the German Führer, von Stauffenberg set off for Berlin to initiate Operation Valkyrie – the coup d’etat to overthrow the Nazi regime. Hitler, of course, did not die that day and Stauffenberg and his co-conspirators were rounded up and executed. But what motivated Stauffenberg to attempt such a mission? Was Stauffenberg a traitor or a patriot? After decades of analysing the sources and eyewitness reports, the renowned historian Wolfgang Venohr revealed the true nature of the man behind the most audacious assassination attempt of the Second World War. Like many others, Stauffenberg smarted from Germany’s humiliating defeat in 1918 and the punishing terms of the Treaty of Versailles. Indeed, until the late 1930s Stauffenberg agreed with much of the National Socialist ideology, which sought to re-establish Germany as the most powerful nation in Europe. But, increasingly, he sees his country sliding to defeat yet again at the hands of a leader who has lost his grip on reality. Stauffenberg believed he had no choice but to act. Born in Berlin in 1925, WOLFGANG VENOHR held a PhD in history and worked as a journalist and freelance writer. For many years he was editor-in-chief of Stern TV. The author of numerous television films and published works, including Uprising of the Slovaks, The Freedom Fight of 1944, and Patriots vs. Hitler – The Way to July 20, 1944, Venohr’s work earned him the Jakob Kaiser Prize in 1972 and the Joseph E. Drexel Prize in 1979. He died in Berlin on 26 January 2005.